Over $100K below appraisal & like new.....Step Up to Distinction Stylish Craftsman Elevation Home with Covered Front Porch and 7 Car Garage Space..Built for Entertaining Light Bright & Open with Chef Level Double Serving Islands in Kitchen..Custom Design with Regal Sized Rooms throughout. Master & 2 Bedrooms on Main Level...Added Guest House w/Bedroom/Great Room/Bath and 4 Car Garage Additional Unfinished 2nd Floor Space and 2 Bedrooms & Rec Room Up, and loaded with space in finished Basement w/Media Room/ 2 BR and Play Room + Study. 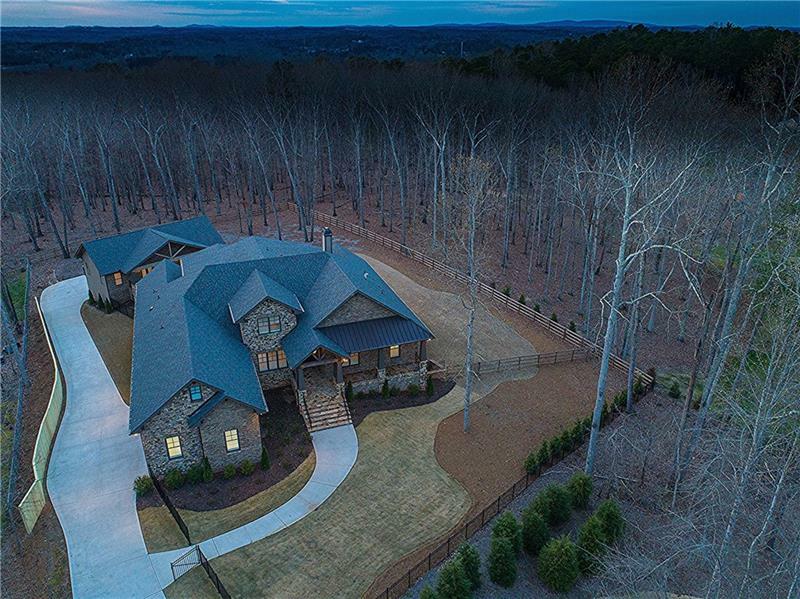 Listing provided courtesy of Top Agents Atlanta Metro, Inc.
A representative from Metro Brokers has received your request to visit 13050 Lum Crowe Road on at .